The elegant, livable city on the Rhine stands for fashion, shopping, culture and extraordinary events. From the Königsallee, affectionately called “Kö”, one of the most luxurious shopping boulevards in Europe, it is not far to the historic old town with its 260 bars and restaurants. Its flair is world famous, its streets are pulsating with life, and the diverse cultural scene offers spectacular events and exhibitions. 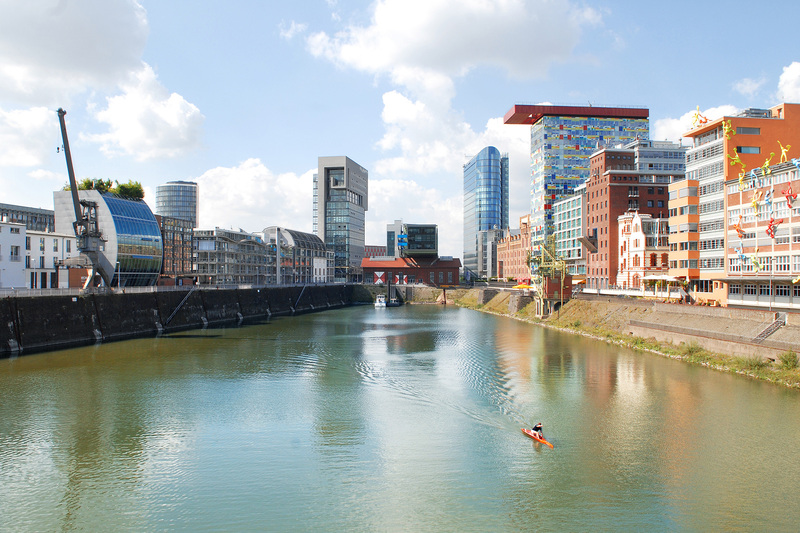 For a good reason, Düsseldorf has once again been voted among the cities with the highest quality of life worldwide. 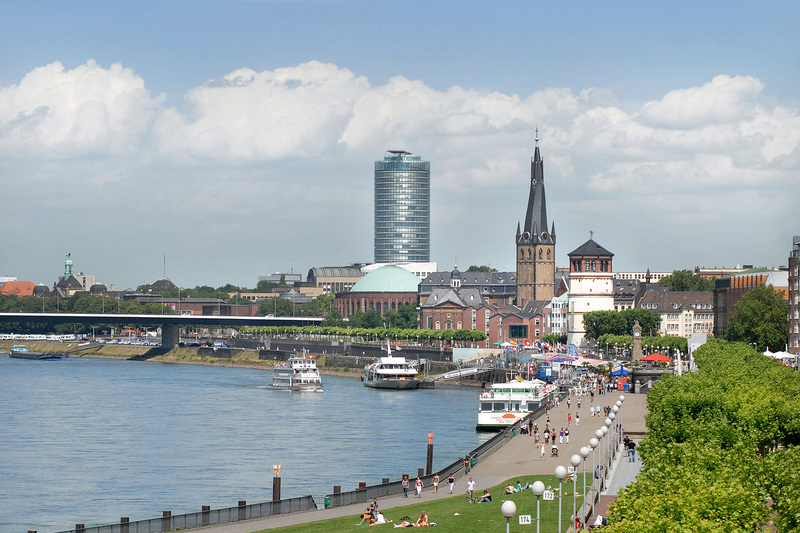 The state capital of North Rhine-Westphalia has special highlights for every taste and every interest. Let yourself be inspired by the Rhenish zest for life! 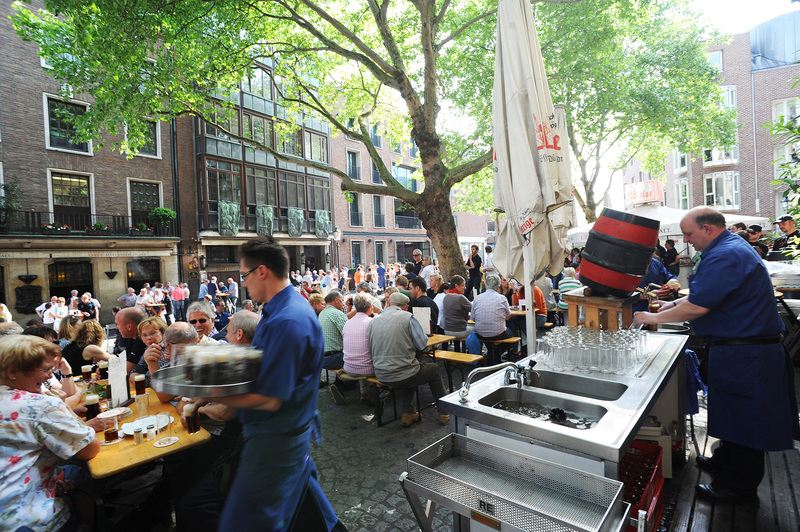 Narrow streets and old churches, rustic breweries, hip bars and discotheques, good french fries and exclusive food: This is the old town of Dusseldorf. Well-known architects such as Frank O. Gehry, David Chipperfield, Joe Coenen, Steven Holl, and Claude Vasconi have made the Media Harbor the top address for architecture connoisseurs from all over the world. 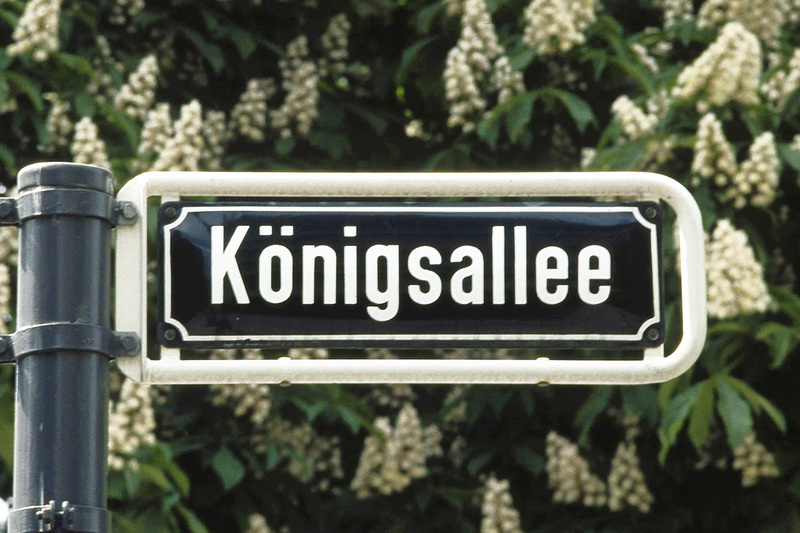 The international well-known trademark of Düsseldorf is the Königsallee (“Kö”). This high fashion mile of Germany presents itself as one of the largest luxury boulevards in the world. In addition to the traditional “Kö” there is another famous esplanade, the Rhine promenade. Connoisseurs like to call them the most beautiful promenade on the Rhine. 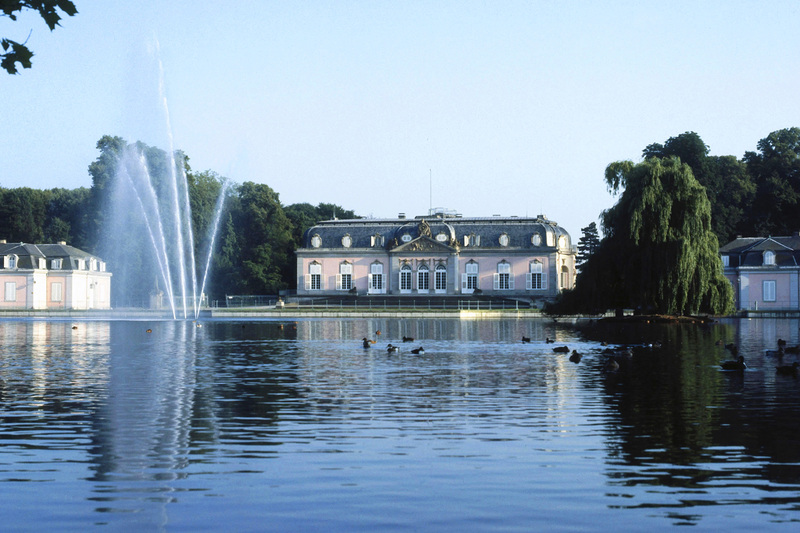 One of the most beautiful garden castles of the 18th century is located in the south of Düsseldorf. Designed and built by architect Nicolas de Pigage between 1756 and 1773. 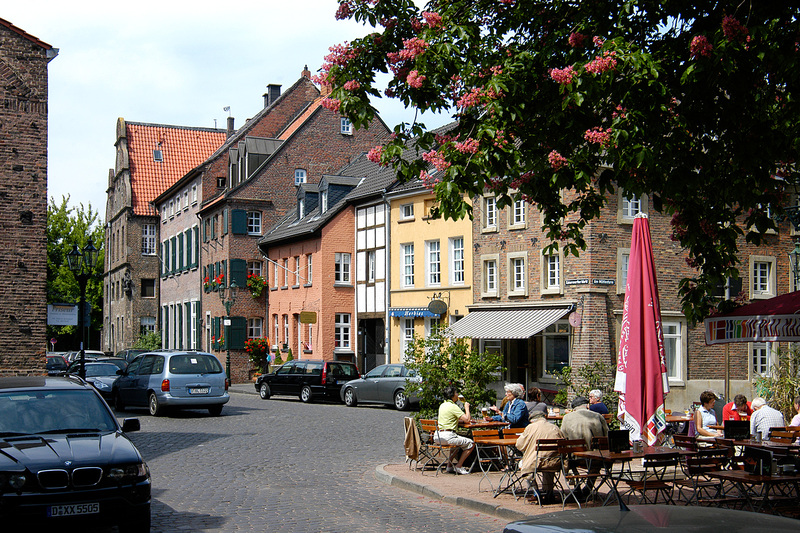 Düsseldorf’s northern district of Kaiserswerth is worth a visit at any time of the year. Around the Klemensplatz is the picturesque center with baroque houses from the 17th and 18th centuries, which is also often visited by Dusseldorfer citizen.